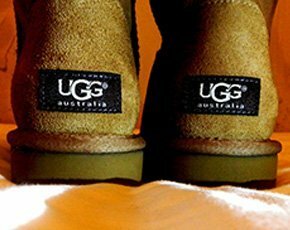 Ugg Australia is trialling a smart mat system which allows shoppers to view more products electronically via an interactive screen. The retailer is testing a radio-frequency identification (RFID) smart mat in two stores in the US to extend its product line to include online stock. Using the Demandware content portal, the customer can place an RFID-tagged Ugg boot onto the smart mat. The mat recognises the product and sends additional information to the 10-foot screen in front of the customer. The retailer is starting to carry fewer shoes in-store and the new technology allows its physical outlets to show all of the stock available online. Customers can interact with the screen by tapping in their phone number if they wish to have a web page link sent to them to consider later and share via social networks. In a bid to tie up the offline and online channels, the RFID smart mat system can also link to customers’ past purchases if they wish to log in. This enables the system to load up recommendations linked to previous buys. The two US stores testing the technology include its Santa Barbara campus store, which tests multiple technologies. The stores have between two and four screens and smart mats each, and the screens can be used to advertise products when not being used by the customer. Ugg demonstrated the technology at the Demandware stand at the 2015 National Retail Federation (NRF) conference in New York. Speaking to Computer Weekly at the event, David Williams, European director of online at Deckers Outdoor Corporation – the company behind Ugg and other brands including Teva – said the company had stepped up its omni-channel offering over the past 12 months. “The campus store is a testing ground for technologies we want to try, such as mobile solutions,” he said. “And all our brands are in one store there, so it’s a good place to try things out. Williams noted NRF was showcasing a lot of RFID products this year, and he would like Deckers to consider RFID tagging for stock visibility. “At the moment digital comes into the store, you have to think about how stock will be managed in different areas. The ideal is to have stock available from any store to customers in any areas, ship them to wherever they want it and return to wherever they want. That’s obviously where we would like to be going,” he said. But the barrier to complete stock visibility is it is a huge task to undertake and it needs to be done well. “It’s a lot of work, especially if you wish to do it globally,” said Williams. “It’s tricky and depends on how strong your order management system is, how good your stock management is and how speedy you are in fulfilling orders. Computer Weekly also spoke to Williams in 2014, after Deckers had completed the implementation of Demandware’s cloud-based digital commerce platform to expand its business globally. The Demandware cloud platform has allowed the company to expand its online business globally by implementing localised, consumer-friendly websites for different territories. The company was traditionally a wholesaler, selling to other retailers and international distributors, but has recently changed its business model to become more consumer-centric. Some 25% of Deckers' revenues now come from direct-to-consumer sales online and in-store. To achieve its aim of becoming a global retail merchant online, Deckers had to roll out and maintain localised websites quickly and efficiently – a move its previous on-premise e-commerce platform could not support. I guess, it's more convenient with RFID though same would work with a bar code. For clothing and foot wear though, still need to have something physical to try on.